From routine checkups and teeth cleanings to natural-looking dental fillings, Hayward dentist Dr. Gary G. Fong offers comfortable, comprehensive general dentistry care for you and your family. If it’s time for your regular dental exam or you’re seeking treatment for a dental issue, please call 510-582-8727 to schedule your visit. Dr. Fong is proud to provide the personal attention that patients from Hayward and the surrounding Castro Valley, San Leandro and Union City areas deserve. The term “general dentistry” applies to the basic services necessary for maintaining a healthy smile and good oral health. This includes, but is not limited to, your daily dental hygiene routine and dental checkups. Through our general and family dentistry services, Dr. Fong and our knowledgeable, friendly team prioritize your comfort and long-term dental well-being. Dr. Fong understands that your oral health affects your overall health, and we focus on preventive and restorative care that will leave you smiling for years to come. Some people avoid visiting the dentist once every six months, believing that if they don’t sense a problem there is no need for a dental checkup. But these brief visits allow Dr. Fong to conduct a comprehensive exam and diagnose potential conditions such as gum disease and tooth infection before they become problems that require costly, time-consuming treatment. Your checkups are also an opportunity for thorough teeth cleanings. Even with daily brushing and flossing, plaque continues to accumulate in hard-to-reach places. Your professional teeth cleaning removes plaque that regular brushing alone cannot. 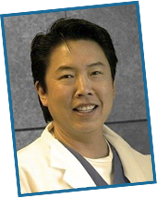 If you live in the greater Hayward, Castro Valley, San Leandro or Union City, California, areas and would like to schedule your dental appointment or learn more about our general and cosmetic dentistry services, please contact Dr. Gary G. Fong today.